Orchard Supply Hardware or OSH is a California-based chain of stores with a mission to be your neighborhood store selling both home improvement products and gardening equipment. 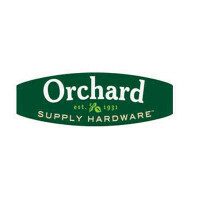 To find out how to apply for Orchard Supply Hardware online, follow the link at the bottom of the page to submit an Orchard Supply Hardware application today. The company was originally founded as a co-operative by a group of 30 farmers. It has undergone many different restructurings over the years, at one point being owned by Sears and is now a subsidiary of Lowe’s, an established home improvement company that operates across North America. OSH itself has stores in California and Oregon. The original co-operative was formed out of necessity when the Great Depression hit in the 1930s and many farmers had a hard time trying to get the tools and accessories they needed to continue running their farms. But since then the story has got happier, and there are now over 70 locations, with its headquarters in San Jose, California. The range of products sold by the company is huge. They have tools for building and working on almost anything, from automotive to fencing to roofing. Along with this they also have furniture, paint, fireplaces, electrical appliances and plumbing parts to be able to entirely remodel your house. You can also find hot tubs, gazebos and plants to make over your garden. You will find many job opportunities available in their retail locations. The most common openings are for Stocking Associates, Pick-up Associates, Cashiers, Sales Associates, Sales Leads, Receiving Specialists, Department Managers, Assistant Managers and Store Managers. These are fairly active roles, which will often involve you being on your feet for long periods of time and some heavy lifting. You can also apply for jobs at Orchard Supply Hardware at the Store Support Center. The types of careers available there are in the departments of Administration, Executive, Finance, Human Resources, IT, Legal, Marketing, Merchandising, Sales and Operations, Store Planning and Supply Chain. For these types of Orchard Supply Hardware jobs you will normally need a college degree. How old do you have to be to work at Orchard Supply Hardware? You must be at least 18 years old or over to submit an Orchard Supply Hardware application. The stores are usually open from 7am to 9pm Monday to Saturday and from 8am to 8pm on Sundays. One of the benefits of Orchard Supply Hardware careers is that you have many opportunities for further training and development so that you can advance in the industry. Some of the perks of full-time jobs may include healthcare plans including medical and dental insurance as well as 401(k) retirement plans. Cashier – There are a number of responsibilities involved in this position, but mainly you will be serving customers either face-to-face or answering telephone enquiries. Daily there will be general duties around the store such as cleaning, tidying and restocking. The average pay for this role is between $8 and $10 an hour. Sales Associate – As a Sales Associate you will usually be assigned to one department and be expected to assist customers looking to buy products in that area, although you may be required to work in other areas if necessary. There will be other basic tasks to complete as assigned. The pay is usually $10-11/hour. Stocking Associate – The job description for this position means that you won’t always be working with customers but interpersonal skills are still important. Most of the time you’ll be checking the stock levels of the store and liaising between the back and the front of the store. This job is typically paid at minimum wage. Store Manager – Store Managers are expected to drive sales goals by ensuring that staff deliver excellent customer service. You will be responsible for staff hiring and training. In addition to overseeing all the operational functions of the store you will need to carry out risk assessments to ensure the safety of both staff and customers. The average manager’s salary is $77k/year. Before you have your interview for Orchard Supply Hardware jobs, make sure you’re prepared by practicing some common questions. Why do you want to work here? It’s important that you have an answer ready for this question as it will probably come first. Make sure your answer is specific to the company and not just about why you want a job, it helps to do some research first. What are your career goals? Every company prefers to accept applications from candidates that are worth investing in, so show that you have aspirations with the company. Be ambitious but realistic. What would you do if you saw a coworker stealing? Employee integrity is an important value, and so show that you can be responsible and professional and keep to all the necessary standards. Have you ever gone above and beyond for a customer? Use specific examples from your previous employment experience to show that you are able to exceed customer expectations. What is your biggest weakness? Many people dread this question because they don’t want to talk negatively about themselves, but the way that you spin it into a positive is to point out areas where you have taken steps to improve yourself. If you search for Orchard Supply Hardware jobs online you can find a list of their retail, management and corporate opportunities and apply online through the same portal. To do this you will need to fill in the online application form with your past experience and upload your resume. You can save your applications and update them at a later time. As an alternative to submitting an Orchard Supply Hardware job application online you can also make a direct application to your local store in person. Most often for entry-level positions, you can request a free application form from the manager, although you can’t download a printable application for Orchard Supply Hardware. From time to time they are run in-store hiring events. Keep checking the careers section of their website for the latest and upcoming events at a store near you. They list on the website which positions they will be hiring for on the day so you can come prepared for a brief orientation and interview. At your interview always make sure that you are well presented when you turn up, as they always say, you can’t get a second chance at a first impression. You should always bring a copy of your resume with you to an interview. Be polite but friendly to your interviewer and remember to smile and make eye contact. Bass Pro Shops: Bass Pro Shops offers opportunities for both, beginners and experienced roles. Hibbett Sports: Visit the Hibbett Sports application. Kirkland’s: Visit the Kirkland’s application. Crate And Barrel: For career opportunities, fill out the Crate And Barrel online application. REI: REI offers opportunities for both, beginners and experienced roles.